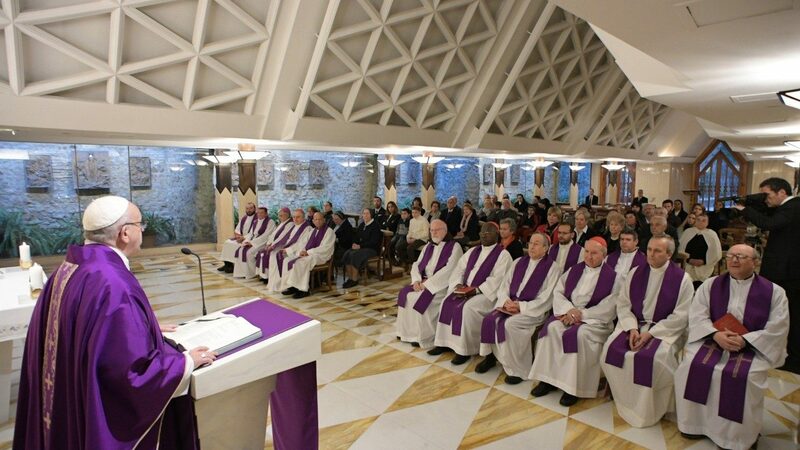 The confessional is a place of forgiveness, not threats, Pope Francis stressed February 27, 2018, in his homily at Mass in Casa Santa Marta in the Vatican. He pointed out that Lent is a time that is “helpful for conversion,” according to Vatican News. It is a time for growing closer to God and making changes in life, he affirmed. Like he did with the people of Sodom and Gomorrah, he calls us to come to him, to set things right – no matter what our sins, according to the Holy Father, who continues to compare God to a parent helping a child to find the right path. “He is like a father of a small child who has pulled a prank, and he has to correct him,” the Pope explained. “He knows that if he approaches him with a stick in hand, things will not go well.